THE BLOG ARCOORLO GUANTANAMERO ,CUBA: WHOM DO WE TAKE WHEN WE DIE? 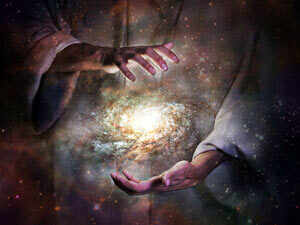 Assuming we have a Universal God that reigns over all the existing known Universe and according to the theories of Einstein and other physicists, other Universes that are assumed in other dimensions to those that are reached by "Wormholes". I wonder: How will our loved ones and friends who have passed away be seen now or decades ago? My two brothers died young as well as my father and my best neighbor who committed suicide at fifteen leaving me a hole in my heart. Will they see us as we were at our age at death? Would they recognize us because of our appearance because they left us years ago? The only explanation or belief that I have is that each one dies and takes all his loved ones in spirit form to other Universes or what we call Heaven. As creatures of God we must have infinite souls so that those who disappear take away a current one and thus preserve the family and the world where they lived. Then it would be a new life. While those of us who continue in this life mourn them until the final hour that God has decided comes, then we take our children, grandchildren, family and friends in spirit form to those strange Universes that only the Lord knows. Who knows if our current life is nothing more than the reincarnated body of other lives and that we already die and take away the beloved spirits of the beings we left behind. I find the idea absurd that when we die we meet with relatives who would not recognize us in a new aspect changed by time or us to them.God exists forever. From eternity to eternity. But something left us: faith and hope to see again those we loved in our short passage through this life we suppose real and earthly. From this arose the hope of Paradise or New Heavent. Life does not end when we die without seeing those we love again, even if the transit is strange and illogical. But the laws of God are not measured by human logic but we must let ourselves be carried by the hand by his mysterious right hand.